CTS Greenwaste manages the green recycling needs of many clients across the state of Arizona. 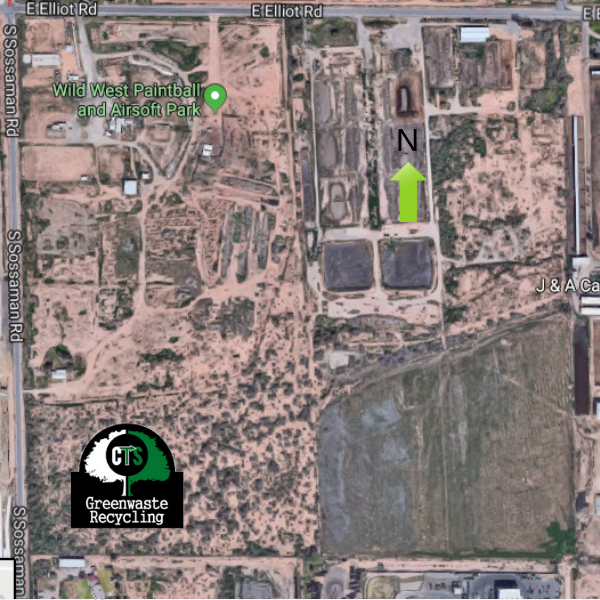 We accept green material drop-offs at our Agricultural Composting Facility, located southeast of the Ocotillo Road and Lindsay Road intersection in Chandler, Arizona. To coordinate or schedule a drop-off, please contact kim@CTSgreenwaste.com for more information.